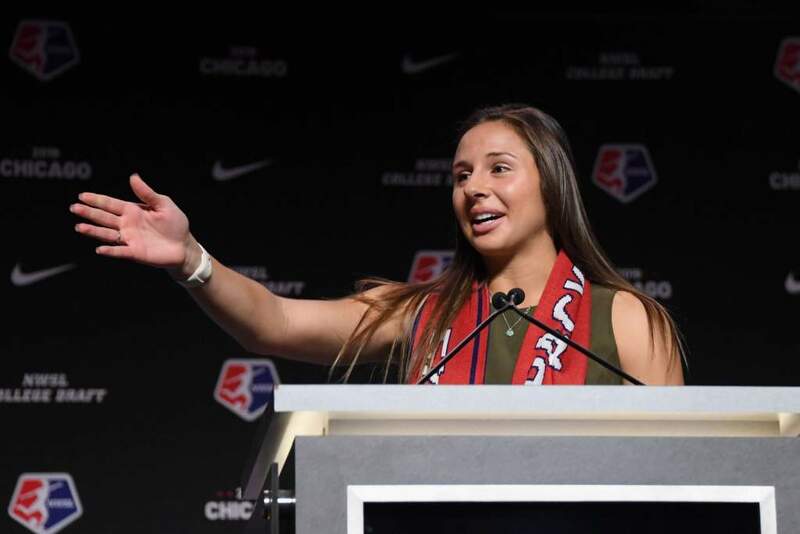 CLEMSON, S.C. – Clemson women’s soccer defender Sam Staab was selected by the Washington Spirit as the fourth overall selection in the first round of the National Women’s Soccer League Draft on Thursday, Jan. 10 in Chicago, Ill. Staab becomes the highest NWSL draft pick in Clemson history. She is also the fourth Tiger to be drafted in the past three seasons under Head Coach Eddie Radwanski, as Claire Wagner, Kailen Sheridan and Catrina Atanda were drafted in the 2017 NWSL Draft. And with the fourth pick in the first round, @SamStaab_ will continue her soccer career with the @WashSpirit! Staab finished her career at Clemson in style in the fall of 2018, as the co-captain became just the second player in program history to be named a United Soccer Coaches All-American and Scholar All-American in the same season, joining Katie Carson, who earned both honors in 2001. In addition, Staab was the ACC Defensive Player of the Year, and also earned her fourth consecutive career All-ACC honor as she was named to the first team in 2018. In her final season, Staab matched her career season high of 11 assists from 2016, while adding on a goal for 13 points. The center back started all 80 matches she played in over her four years as a Tiger, only missing three matches in her entire career, with all three coming during the 2018 season, when she was the only collegiate player called up to the U.S. U-23 Women’s National Team for the 2018 Nordic Tournament. The San Diego, Calif. native finished her career at Clemson with 33 assists and five goals in her 7,360 minutes over 80 matches. The 33 career assists put her in fourth place in school history in that category. She also led the Tigers to four consecutive NCAA Tournament berths, including a trip to the NCAA Sweet 16 in 2016. Staab also helped Clemson to the ACC Regular Season Championship that same season. “What an incredible day for Sam. She is so very deserving of this honor of being a top four pick in the NWSL Draft by Washington. This tops off an unbelievable career and journey here at Clemson. I am excited for Sam and her future with the Washington Spirit.